Situated in the sought after Condavale Estate just on the edge of Warwick sits this high quality residence that has only been called home by one family. Completed in 2011 the home has been well looked after and is now ready to be passed on to the next proud owners to make it their own. Overall this is one property that would be a pleasure to own and a privilege to arrive home to each day! I will recommend Southern Downs Realty. It was a pleasure to deal with efficient, friendly and professional people. You’s always keep me informed with the latest updates and I can’t thank you enough. Good job. Thank you for the follow-up. It’s the sign of good agents - much appreciated! Just wanting to say thankyou. YOU are the best real estate agents I have ever had the pleasure to rent from. hassle free, friendly staff. Prompt service. Thank you. Thank-you for the successful sale of our property - it wasn't an easy one and got a bit frustrating for a while but we got there. All the best for the future. Hope you get some good rain soon! Thanks Chloe. Thanks for being a great person to deal with. Rob was very helpful and professional. He guided us through the sale procedure and communicated regularly with us. Mark was great to work with. He juggled the sale of two properties and the purchase of another keeping all parties in the loop and happy. Highly recommend him as an agent! 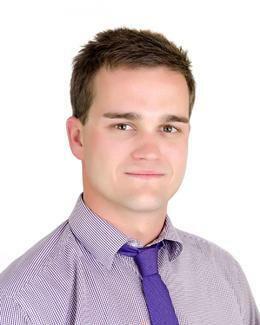 Ben has always conducted himself in a professional manner and is always proactive in selling our homes. I appreciate your work. Thanks! Ben was professional and knowledgeable - He went above and beyond when trying to sell my house. I would recommend him 100%. Rick is very easy to work with & we had great results. Property sold!! Thank you to you and your team for the great work that you do as it is much appreciated. Thanks Shelby… We very much appreciate your good work. Debbie - YOU ARE AWESOME, thanks very much. Just wanted to say thank-you for such an easy transition and thinking of us for the house, we have been really happy! Thank you for everything. We had a wonderful experience renting and purchasing our first property through Southern Downs Realty. Thank you for the excellent report and management of the property. I would like to thank the team at southern downs realty for managing my property, You have all made the process very easy. Thank you for your brilliant services whilst we have been with Southern Downs Realty. I'm very happy with the services and effort from this realty, they do the best they can with any query and request we have had and really look after their clients. !!! keep up the good work ! Thanks Chloe, Great job from you girls as always. Thank you Debbie. Great work! Grateful for all that you and your team do. We are very grateful for everything you have done, you certainly went above and beyond! Thank you! Just a big THANK-YOU to all the team at SOUTHERN DOWNS REALTY! To Brent, My Home is now mine and i really appreciate all of your help throughout my difficult time. Brent, Debbie & the SDR team, A big thanks for your friendly & professional service & assistance. Hi Brent, Rick & Ben, Just a quick note to Thank-you for your support and to wish Southern Downs Realty continuing success. If we can assist in anyway, please just call. All the best ! Thank-you Brent for the market analysis, much appreciated !